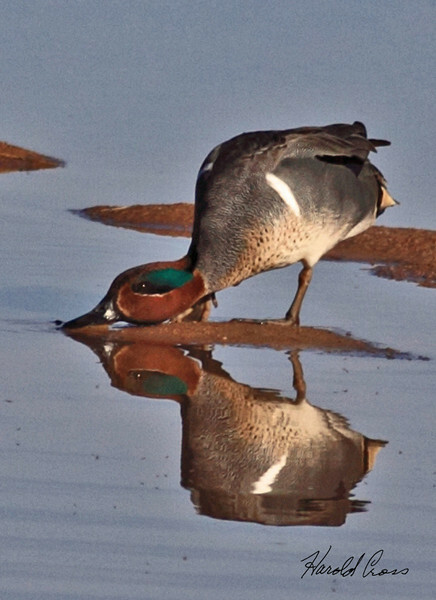 Green-winged Teal Duck taken in Gilbert, AZ on 14 Feb 2010. WOW - this is great !!!!!!!!!!!!!! Fantastic shot; wonderful reflection and position of the duck!